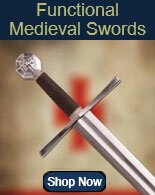 Marine swords for sale include designs featuring silver or gold colored fittings and leather or steel scabbards. 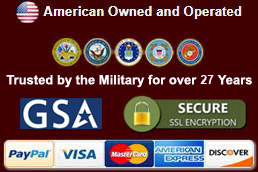 Types of US Marine swords include Officer, NCO and display swords. 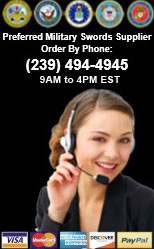 Buy all kinds of popular USMC military sabers and marine swords on sale now. 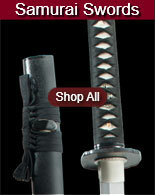 US Marine Swords for sale are 34 ½ inches in all. These military swords feature United States Marines etched on the unsharpened blade and a leather covered scabbard with matching fittings. This version features metal fittings with a gold colored finish. The 29 inch stainless steel blade features a shiny mirror polish. The black leather handle is accentuated with gold colored wire and capped with a gold color metal pommel and gold color metal hand guard. They have a traditional gold tassel. The black leather scabbard features a gold color metal fittings. 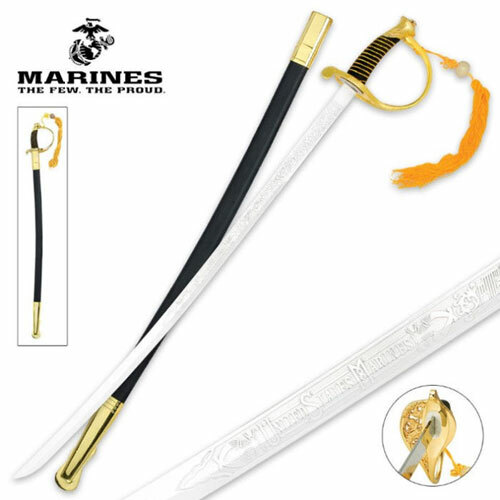 Buy these US Marine Swords for $79.99.